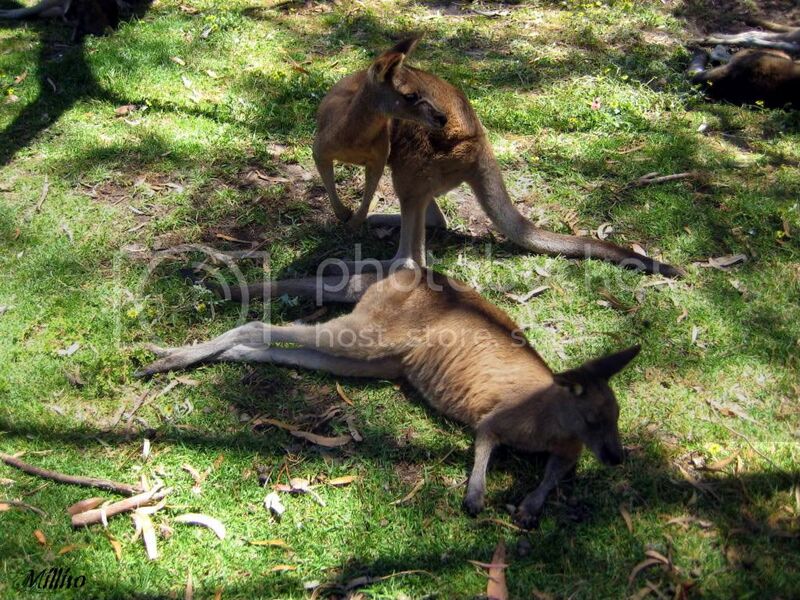 So how could I not choose our Native Kangaroo as it is a National Symbol For Australia. I will return much later..enjoy PP everyone. sunning ourselves ....are we ? Ive always wanted to touch a Roo... They look so soft. So nice to see them not in a zoo. You took a great picture. They make the best parents too. I loved seeing them during my visit to Australia a couple of years ago. Great shot Milli! Its so nice to see them relaxing instead of being restricted in a zoo. i like seeing pics of animals we don't have in our country. this is another good shot, milli! Lounging 'roos! How cute. Nice photo! was that taken in the 'Top Paddock'???? Oh milli this is so cool, they seem so peaceful and friendly. I want one! "Did someone say Skippy?" LOL. Great shot. I love these guys, and their smaller cousins. They look so soft. Are they? LOL Milli.....great minds. And we almost said the same thing too. Love the shot. What a wonderful shot of those kangaroos! OMG ... what a tough subject ! remained a fav in my collection. I took this image some 30yrs ago with my 'ol Pentax buddy, on film. I picked a near-by Paintbrush and literally "painted" with it in front of my lens. btw ... I love Roos and Koala Bears ! Wonderful photo, Milli! They are so adorable. How cute! Just "lolling" around after a busy day! Thanks for sharing. They look very domesticated, cool shot. How cool, and I remember them everywhere when we were there. Great shot.